A REPORT ON reform of the Seanad has recommended that half of its members be elected by universal suffrage with all Irish passport holders, including emigrants and residents in Northern Ireland, being entitled to vote. The report of the Seanad Working Group on Reform contains radical proposals to overhaul the house, which the group says could be law by the end of the year. The working group was established by the Taoiseach in the wake of the defeat of the referendum to abolish the upper house in October 2013. It is innovative and radical, and contains some far-reaching recommendations to the way members are elected to the Seanad, and on how the Seanad should perform its functions. He said there now needed to be “public and political discussion and consultation” on the proposals. Kenny said he intends to consult with opposition party leaders and request that the working group make a presentation to two relevant Oireachtas committees. The group was tasked with looking at the ways in which the current Seanad set up could be reformed within the confines of the Constitution. Under its proposals, the group recommends that the majority of seats on the five vocational panels that currently exist should be elected by popular vote. Currently 43 senators are elected by councillors, TDs and Senators. Under the reform proposals, 30 seats would be filled by a popular vote and elected politicians would fill 13 seats. The group has endorsed proposals to widen the electorate for the six university seats to graduates of all third-level institutions, a reform already proposed by the government. Currently, only graduates of Trinity College Dublin and National Universities of Ireland can vote for these seats. 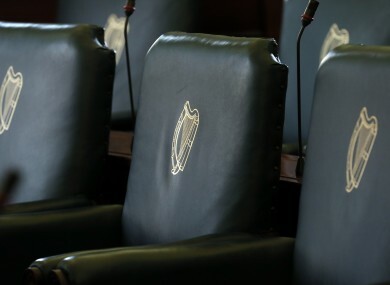 The Taoiseach’s 11 nominees to the upper house would remain as they are constitutionally enshrined. In conjunction with the UCD National Cyber Security Centre, the working group has proposed a secure system to register voters where people would be able to download and send in their voter registration form. The principal of one person, one vote would mean that the 150,000 graduates from Trinity and NUI who currently have a vote in the Seanad would have to opt to either retain that vote or become part of the electorate for the popular vote. A draft bill to implement the proposals is currently being finalised and will be published within the next three weeks, according to one of the working group’s members. 8. Draft Bill to implement our Seanad reform proposals is being finalised. It will be published in the next 2/3 weeks. No referendum needed. The working group said that its reforms could be published and passed through the Dáíl and Seanad before the summer recess and signed into law before the end of the year. The reforms would not come into effect until the Seanad election after the next one, which is due to take place in the weeks after the next general election. The working group was chaired by academic and former Fine Gael TD and Senator Dr Maurice Manning. It also included the academic and journalist Elaine Byrne; former minister Mary O’Rourke; former senators Joe O’Toole, Maurice Hayes and Pat Magner; political scientist Mary C. Murphy; and the former chair of the Constitutional Convention Tom Arnold. Email “Check out these VERY radical proposals to reform the Seanad”. Feedback on “Check out these VERY radical proposals to reform the Seanad”.